Pets are like our children-we feed, nurture and lavish attention on them. Our highly qualified kennel attendants do the same when you can’t be there. We provide tender, loving care with attention to detail to keep your pet happy and healthy while boarding with us. Should any medical need arise during boarding, you have the peace of mind knowing that we are right there to identify problems and administer to your pet's health. 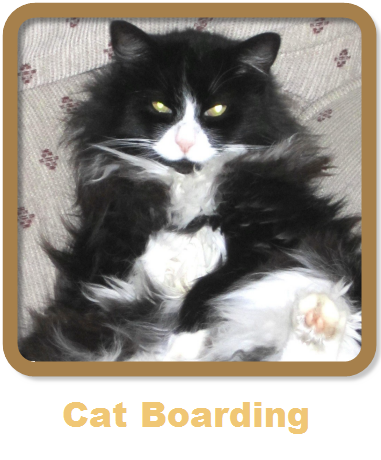 Boarding pets are routinely fed twice a day. We provide high quality food but recommend owners bring their pet's food for us to feed while boarding. Our staff can administer medication (additional charge) or provide special feeding or care when necessary. 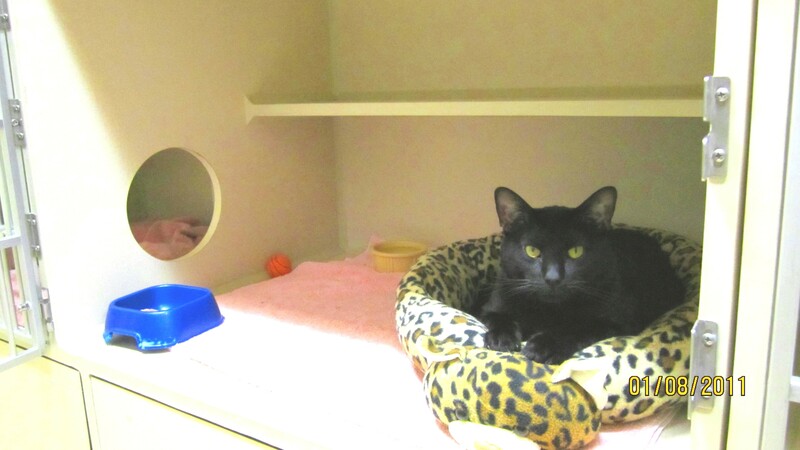 Cats are boarded in a completely separate ward from their canine friends in comfortable two-room condos. As depicted in the picture below, Cody is lounging in his living room and has a passageway into his litter box area. Many cats also enjoy perching themselves on the shelf in the back.